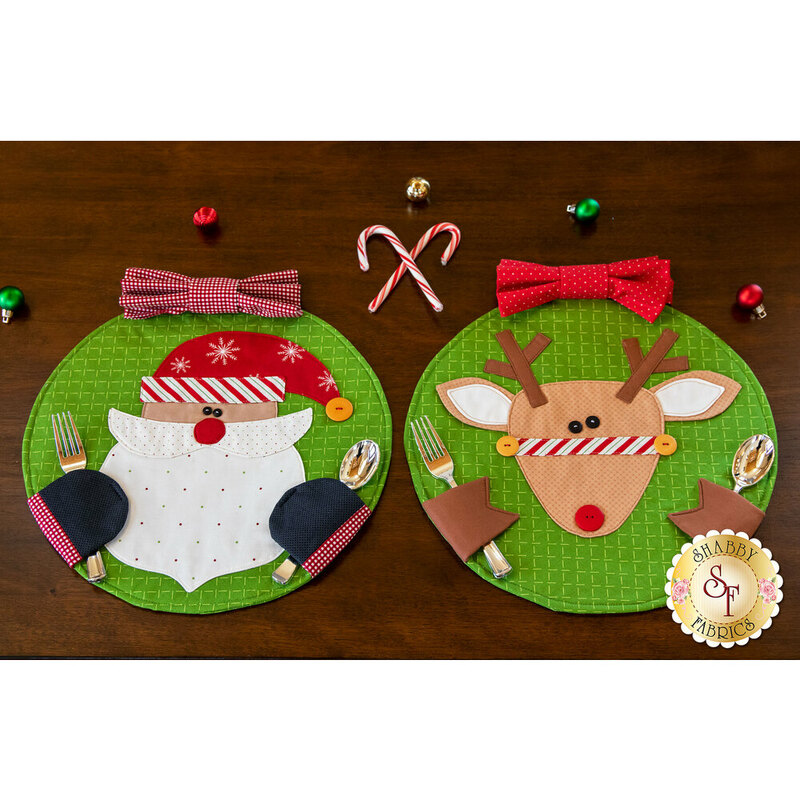 These might be the cutest place settings you've ever seen! Santa and Rudolph will bring joy to guests from 3 to 93 as they hold your utensils until dinner is ready! 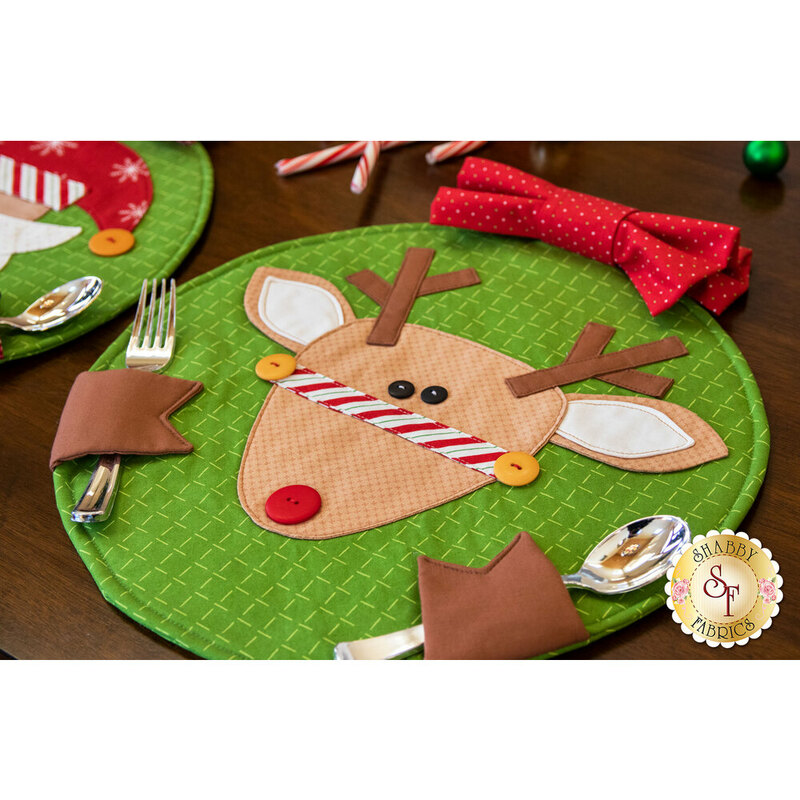 Placemats measure approximately 15" in diameter. 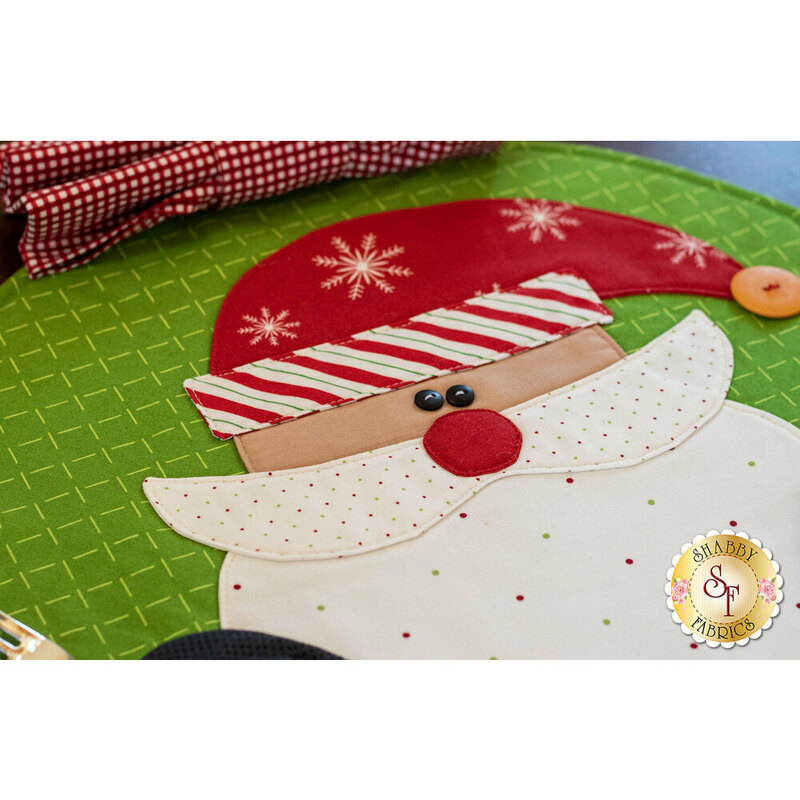 All Fabrics and Buttons to make two placemats: one Santa and one reindeer. The pattern is NOT included, so make sure to add in it on in the options below!